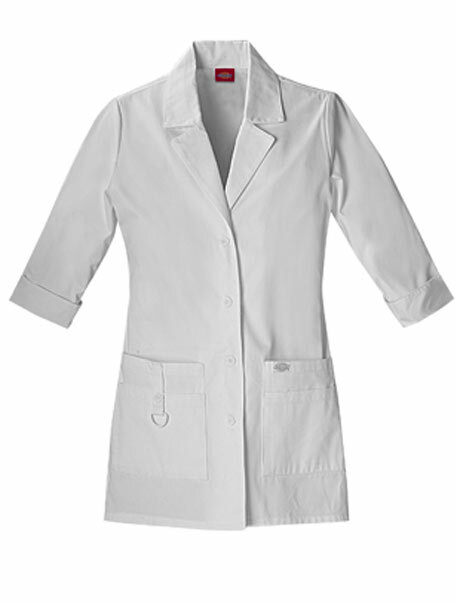 A Junior fit button front lab coat features a notched collar, a 3/4 sleeve with side vents that can be folded up as a cuff. 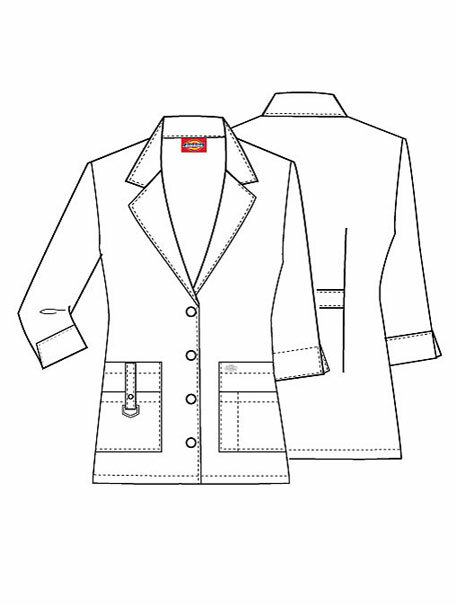 Four patch pockets with a utility strap and D-ring, back darts and center back belt for shaping. Center back length: 30".